DURANGO, CO— Ska Brewing is excited to announce the installation of 223 solar panels courtesy of Shaw Solar at its World Headquarters, just in time for Summer Solstice. These new solar panels will generate enough energy to brew approximately 545,000 pints each year. The brewery has partnered with Durango’s Shaw Solar to install a grid-tied solar power system on as much of the surface area of its roof as possible— 68 kilowatts from 223 panels to be exact. These new solar panels join the insulation in the brewery’s walls made out of blue jeans, the bar and tables made from bowling alley lanes, and grass and flowers quenched by recycled water at Ska’s World Headquarters as part of the company’s long-term sustainability plan. They will provide about a quarter of the brewery’s electricity. The rest is wind-powered. 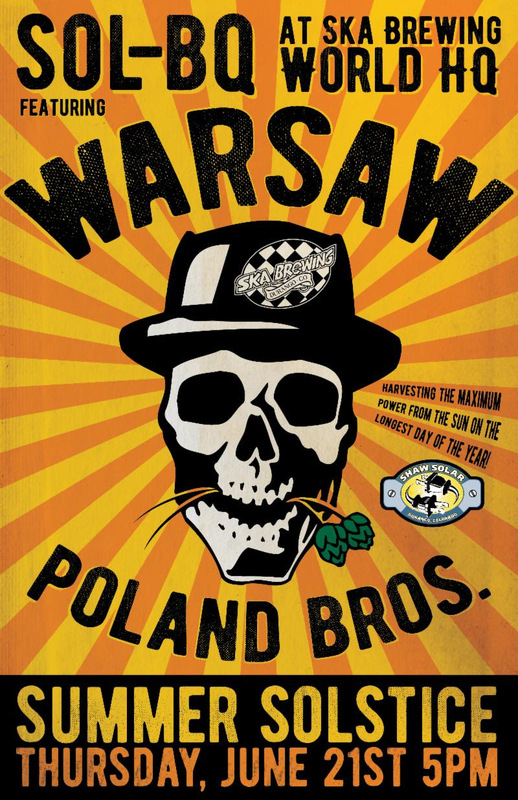 Ska Brewing’s new solar panel installation is now complete, and brewery guests can celebrate at this evening’s Sol-BQ event at World Headquarters with some live punk/ska music from Warsaw Poland Bro that begins at 5pm. If you have questions about Ska’s new solar panels, or any of its sustainability initiatives, contact Emily Hutto at coop@radcraftbeer.com. Shaw Solar is Durango's leading full-service solar contracting company, specializing in both residential and commercial projects. Known for their creative solar solutions, Shaw Solar has spent the past two decades bringing "Solar Power to the People", and as a result has installed roughly half of the solar in our area, including LPEA's first grid-tied system back in 2001 and first Solar Garden in 2015. Learn more at shawsolar.com.